Summer solstice weekend retreat, of yoga meditation and relaxation in the forest, led by Jasmin and Jake. A non-residential weekend to replenish and restore your energy. Open to all levels. Including beginners and more experienced practitioners. Chair Yoga helps teachers find new ways of teaching Yoga to different groups of people. From office workers to older people, most people can do Chair Yoga. It opens opportunities to experience Yoga to anyone who is unable to take part in a mat based class. Ashtanga Teacher Training Immersion with Ryan Spielman. In this 70-hour teacher training Ryan will share a comprehensive approach to teaching the primary series of the Ashtanga Vinyasa system. A special event in conjunction with Nottingham Poetry Festival. A unique ‘Yoga and Poetry workshop’ led by Nikki a poet, performer and Yoga teacher. This session is open to all levels including beginners to both writing and Yoga. 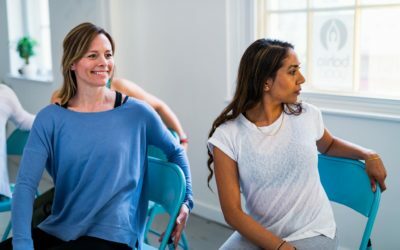 Bahia Yoga is Nottingham’s leading Yoga school, offering Yoga classes, Yoga teacher training, and events and workshops for students from throughout the East Midlands, and beyond. Bahia Yoga is accredited by Yoga Alliance (International).